Ghost Mod 1.7.2 is a fairly simple mod that mainly adds a new type of mob to the game: the ghost. They appear randomly on your worlds, but also come to greet you when you remove a villager or when your character dies. These ghosts can be destroyed and you will get ghost dust from them. With 4 dust on the crafting table we can make ingots, which we can use to develop new weapons, tools and a new armor, all of them more powerful than the diamond ones. The ghost dust also can be used to become invisible! 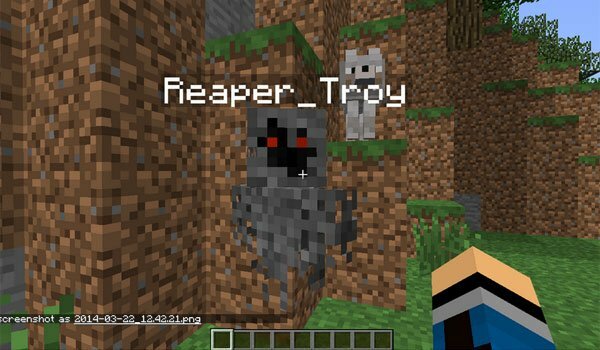 How to install Ghost Mod for Minecraft 1.7.2? Double-click the downloaded file to run the mod installer. A new spooky mob in Minecraft!